Board haven't given me anywhere near the budget i got last time, just 20k this year so going to have to do things a little differently. Bianchi is my youth prospect who has progressed the most, but I have high hopes for mularoni, if he eventually accepts my request to represent san marino. Great news about the database, it's the one that is linked in the original post i believe. Half way through the second season and once again left it holiday to try and catch up to where i was as fast as possible and i'm sitting in 3rd place, 1 point behind the leaders, this one is going to go right down to the wire i think. 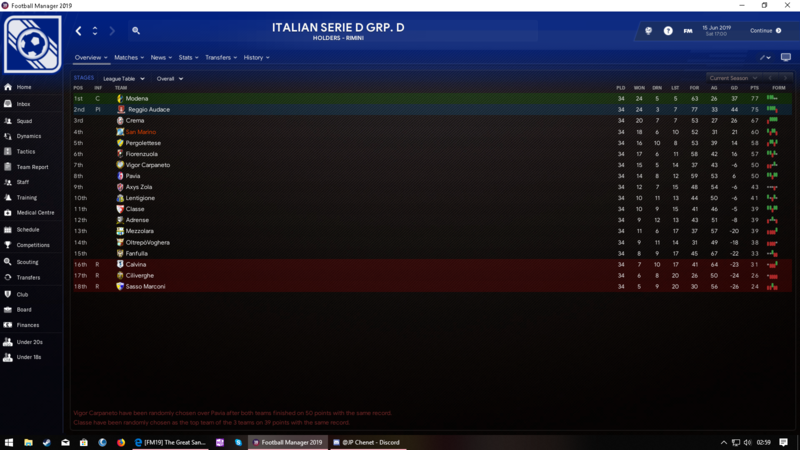 Short update for Season 4: We lost at Serie D playoff semi-finals, so another season of the Serie D football for us. I was not sure if we could avoid relegation if we had made it to Serie C, so I cannot say this is highly disappointing. 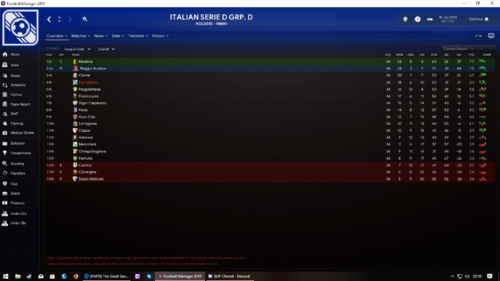 Even if you were to get relegated the money you would receive form the TV deal in Serie C would be a massive boost, i'm currently in March and TV revenue so far has been just over 500k. Just had a look to see if i could get Eggestein, on my save his value is £7.5m, Not a chance i can afford that. 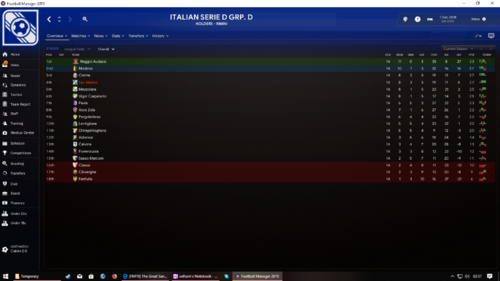 So, I managed to win the league quite comfortably in the end, back into serie B again so I'm. Going to go back to taking Control of the matches to see if i can get promoted. I'm not able to sign most of the players from last time around so it's going to be a completely different team to the one that got me promoted from Serie B last time round. 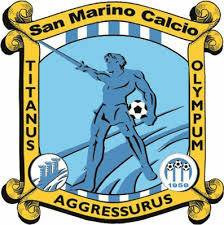 In what must be one of the biggest surprises in recent Italian football history, San Marino, billed as 1000/1 outsiders for the title, managed to seal promotion to Serie A via the play offs. It was a up and down season form wise, with unbeaten runs following 5 game runs of playing really poorly. But in the end, we just managed to do enough. Finishing the regular league season in 3rd place, meant we went into the play offs as the highest seeded team. In the semi finals we faced Pro Vercelli, who we beat 5-3 over the two legs. In the final we faced Chievo, who I thought may well end our dream. But a solid 1-0 away win in the 1st leg set us up nicely for the decider at home. With the score at 1-1 in the home game going into the 90th minute, we managed to grab 2 injury time goals to seal a 4-1 victory over the 2 legs. The season preview couldn't have been more wrong, 1/5 favourites Juventus U23s were relegated. In the Italian Cup, we won our 2nd Rnd qualifier 4-0 against Entella, before losing on pens to Serie A side Lecce in the 3rd qualifying Rnd. Another year where we relied a bit too heavily on loans for my liking, but they are better than anyone we have or can sign ATM, and with barely any wages to pay them, it makes sense to take advantage. Caprile, Marullo, Bortoluzzi and Rovaglia have been with us for the past 3 seasons so feel like genuine squad members, all 4 will be with us for our maiden Serie A season. With a £85k wage budget, and £6m transfer budget, we will be looking to strengthen the squad for our battle against the drop. Another GK with 5* potential, but hes Italian. We could do with some other 5* PA in other positions in all honesty but again I wont complain. Quite a deceiving intake, doesn't look amazing based on the stars but I am delighted with the personalities and determination. Some of these lads could go onto to be decent players for the national side. I've been surprised at how much a lot of our youngsters are developing in the youth set up. I think the determined nature of our squad and staff are having a massive impact on this as our facilities are poor. This has been the most important year for the club in terms of this section. We bagged an impressive £2.4m for finishing 3rd in the league, which took us from just over £1m in the red, to £1.5m in the bank. I instantly went to the board and upgraded our Youth Recruitment, Junior Coaching, Youth Facilities and our Data Facilities. The board refused a training ground update based on finances, I shall re try that in a few months. Only one I can think of is Rovaglia is now the clubs all time top goalscorer with 66 league goals. We are more than likely facing a battle to stay up next season. Our wage budget of £85k a week wouldn't even pay for a week of some of the players we will be up against's wages, but that is part of the fun. I have already got 7 loan players agreed to return for the next season, with the aim to spend as little as possible on players this year, that way if we do go down, our finances will be superb and give us a good base for a promotion push. 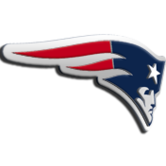 However, with the highly talented youngsters in the team, and the high levels of determination, im confident we can avoid the drop. 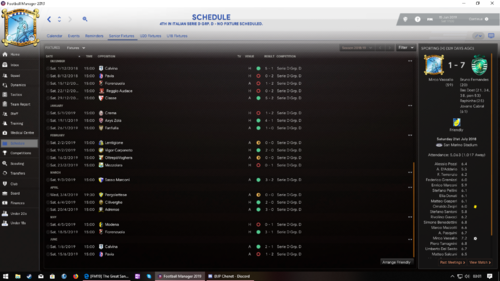 Nice work, the money from Serie A should set you up for the rest of the challenge, even yoyoing between the two leagues for a few years would be great, that way you aren't spending millions and millions to try and compete in Serie A, I think my plan if i do manage to get promoted is to buy some youngsters with the potential to be Serie A quality. The tactics I'm uskn at the minute give the opposition very little in terms of chances which I think will be good to build on. I'm only around 10 games into my season in Serie B, not scoring as many as I'd like from open play and drawing too many games, need to be more clinical in front of goal, my strikers seem to be missing 4/5 clear cut chances per game which is so frustrating when you have over 65% of the ball and have over 20 shots but then draw 1-1. 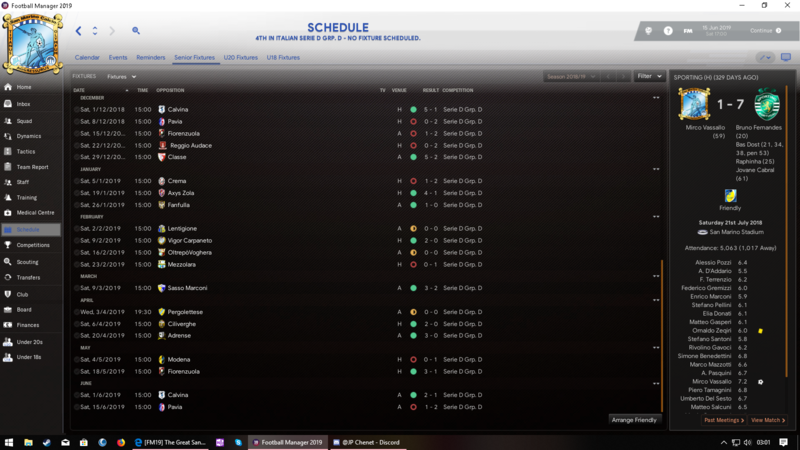 I didn’t want to risk the custom DB...So I holidayed and thankfully San Marino were in Seria C after the first season. I won the league comfortably (8 points), setting records for most goals, wins and points, among others. 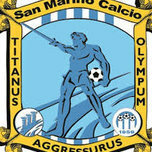 However, I didn’t use any players the club had, let alone any players from San Marino. Instead I utilised my loan signings (44!) who were my first XI and subs, unsurprisingly we used 39 players in the league, the highest. Despite all this, average attendance was 11% with 648 persons. Furthermore, although I was eliminated immediately from the Seria C Cup, I won the Seria C Super Cup. My Under 18’s won the league and the Italian Super Cup, beating Lazio 4-1! while my U20’s also won the Italian U20 Division 3. Frustratingly my biggest expense is staff wages, which doesn’t make sense as none are my players and there is no decent youth in the squad, apart from 2 who have come from this year’s youth intake. Finally, just before my last game, we were taken over while being -£400,000. The new consortium removed this debt, increased our balance to £130,000, but took a bank loan of £130,000 as well. P.S big respect to the person also doing the youth challenge as well! 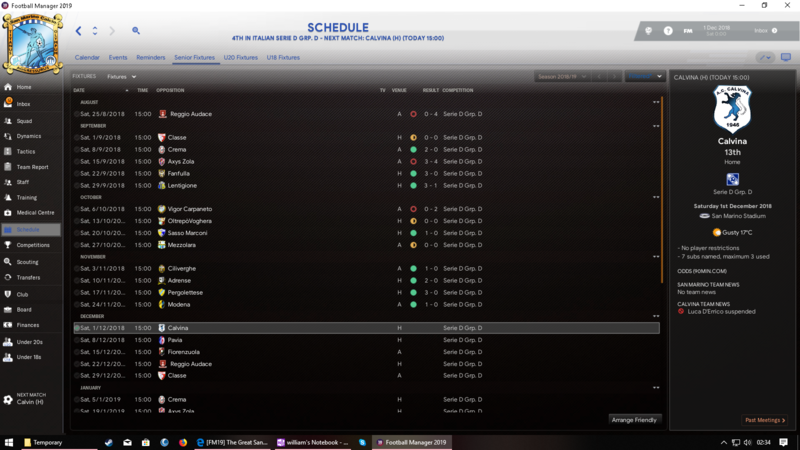 I think if I tried that in Seria C, almost certain to be relegated. P.S x2 San Marino won three games in their European International League, finishing second in the group after Armenia, and above Malta and Azerbaijan. However, same old in the Euro Qualifiers with three losses out of three, conceding 10 and scoring 0. Rovaglia is a bit of a beast, signed him on loan in January to try and solve my goalscoring problems and he currently has 11 goals in 6 games for me, just the clinical player i was missing. Happy with our start to the season, only 5 games in, but we have taken 7 points from some tough Fixtures. Roma, Lazio, Milan and Inter in our first 5 games is harsh. A 0-0 draw with Milan, and our first big scalp, a 1-0 win over Roma leaves me excited for the season ahead. Not much Transfer Activity this summer as I struggled to recruit players better than what we have for anything other than silly wages and I hate paying big wages to players who don't warrant them. This has left the club Finances looking incredibly strong as we are only spending £45k a week of the wage budget, and are making almost £2m a month in profit. I have managed to get the board to upgrade the Training Facilities and will push for more upgrades over the season. We are currently under a takeover bid, im hoping this doesnt go the wrong way for me as they could want to bring their own manager in. The reason being is in the nations league, they were top with 2 games to go and threw it away, Results. I would have let the current manager see out the nations league but after this failure I thought its time to step in. Currently ranked 187th in the world, this is where the real challenge begins. Is there any nationality criteria/eligibility we can take advantage of? e.g ensuring an Italian player plays for San Marino (club) for a number of years, then becomes a citizen? I'm sure this was asked in an older thread, think it's something like 25 years so not really feasible in game. I could be wrong though. What a long and frustrating season. We started well, 7 pts from 12, a win at home against Roma, a draw with Milan, then we slumped bad. 11 games without a win, 3 whole months. I do not remember a more frustrating season as not only were our results bad, but the performances were even worse. We should have been hammered on numerous occasions. I planned to spend in January but really couldn't find anyone, I didn't want to spend crazy wages as the club are making a fortune in profit as you'll see below. 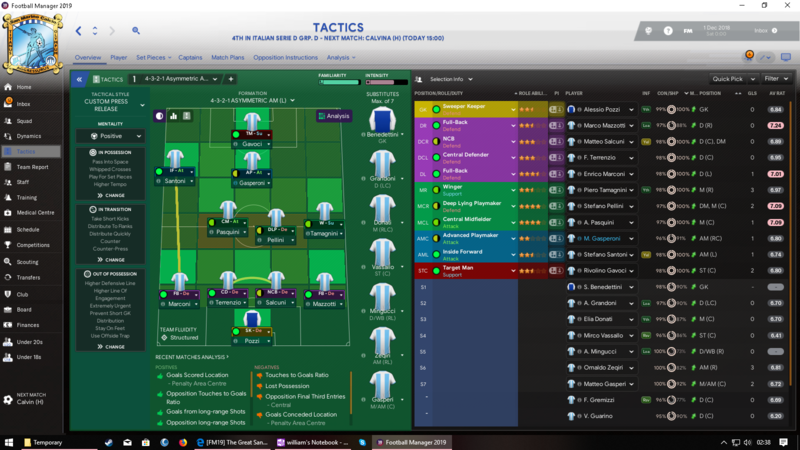 The squads got some brilliant players in already who just wasn't performing, so i dumbed down the tactic, started playing 451 away from home on the counter, and results improved. January through March we picked up 5 wins, losing only 4 and this meant we were up in 13th, the league was tight, with only Torino sitting bottom looking down. Anyone from 12th-19th was a lose or 2 away from the bottom 3 all season, April through May we won only one game, and literally only survived due to Bologna and Benevento being worse than ourselves. We stayed up by 2 points. We only signed a few players again this season as the returning 7 loanees were already agreed before the season turnaround. We done OK, we really struggled to adapt early on in the season but managed to keep or heads above water. None of the loanees can be signed on full transfers as the parent clubs dont want to sell, so depending on my budget next season, I am going to try and rely less on loanees, and make the team more of my own players. Sometimes we had 7 loan signings starting games and we need to get away from this set up. The plus was the clubs finances are looking amazing. Not the best batch, but we have 2 decent prospects, Seminara and Gatti YP23a. With Gatti being a great player to come through at this stage, with a cm being one position the national team has very little quality in if any. Hes been called up and already played in a euro qualifier by the national team. Claudio Valentini YP19a: ST : Product of our first youth batch has really done nothing to impress. Admittedly I could do with giving him more game time, but when played he has played rubbish, 1 goal in 24 games at club level, and 3 in 34 at international means he really needs to improve soon. Lorenzo Moretti YP20b: GK : Yet to make his professional debut but is progressing well and could be of use to the national side soon. Niccolo Giorgetti YP21a: CB : The pick of the bunch so far for me, made 8 first team appearances this season and didn't look out of place once. will gradually play more until hes ready to make the centre back spot his own. A fantastic year on this side, making £2m profit a month due to paying just £51k a week out on wages. With this we finished one youth facilities upgrade and instantly started another, whilst the training ground ground is due to finish at the same time, in October this year. EDIT: 30 seconds after posting this update I received this news Training and Youth Facilities Upgrades, so thought whilst the board are feeling productive I would chance my luck and ask for more. I got a Junior Coaching Budget increase and a Youth Recruitment Upgrade. We need to loosen the purse strings next season and really push on. I am going to up my maximum wage to around the £10-15k mark and try to bring in some upgrades to the squad. We already have deals for Cameron Doherty, Ney Morales and Rony Preisner arranged, but we need more. Preisner doesn't join until January, but I can see him becoming a real star. National Team Update Euro 2024 Qualifiers. Played 4, lost 3 and drew 1. Not the best of starts, 3 games being friendlies with teams around us, who I thought we could beat but we didn't. Then the Euro Qualifiers started and were given a tough draw, Spain(10), Russia(30), Austria(26) and Bulgaria(65). World Ranking in brackets. We have a couple of okay players, National Pool but this round of qualification is way too soon and strong for us, the next Nations League is what im looking forward to most. Good to see you survived lewis, amazing how you're only spending 51k a week on wages that's insane. 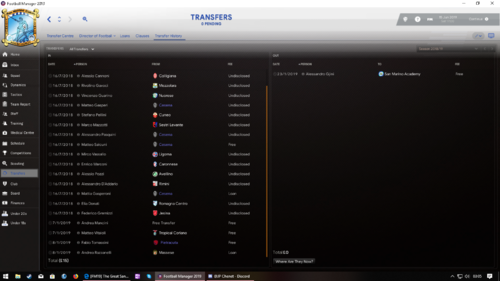 I found that the loan players i had in Serie B were wanted by their parent clubs' first teams this season so i've had to sign a lot of cheap/free players. Only spent big on one player, a GK from novara for 1.2m potentially rising to 1.8m who has good potential to be my keeper for the next 5/6 years. My best signing was a free transfer, 36 year old Hamdi Harboaui (sp), my scouts only rated him as a leading Serie C players due to him having ridiculously low pace stats but my system doesn't require him to have any pace at all, his job is to stand in the box and get on the end of crosses/ finish off any loose balls. and his stats for those situations are all 14, 15 and 16's so i decided to sign him and he has scored 19 goals in 18 games in Serie A, pretty good. As for the league i'm scoring loads, and i mean loads but also conceding plenty, one highlight of the season was a 6-5 defeat away to Lazio which was a fun match to be involved in, took some pretty big scalps tough including a 2-1 win away at Inter. Currently amazingly 6th in the league after 27 games but 8 points behind 5th, i may even end up qualifying for the Euro league at this rate. Still no amazing youth prospects, just heading into March now so will get a new batch in the next couple of weeks. One final thing, the board have just agreed to build a new stadium seems though we're selling out every game (4,800 season tickets), plans to be finalised at the end of the season with a capacity of 19,000 expected. Yeah it was a risky tactic, but it paid off in the end as we have £20m in the bank. Ive been given £155k a week and £16m transfer budget so will be spending a bit this summer. Nice one, i don't particularly want to finish so high, it means the board are going to expect this every year now and i don't want to have to overspend to be able to compete with the big teams, it didn't end well for teams like Portsmouth, Southampton etc. in England. Was there a FM18 thread for this challenge? Struggling to find it. End of the season i finished 5th, once again wildly above expectation, good thing now is that the young potential players i signed last year are now at a good/decent level for Serie A so should be a good season ahead without having to completely rebuild like last year. Welcome to San Marino Uros Betra a serbian goalkeeper (yes i know i said i got a keeper for the next 5 years) but this guy was to good to turn down, my scouts rated him as 100 - must buy and for only 2 mil i'd have been daft not to, 19 years old, rated as a good Serie A keeper already with potential through the roof, hoping i'll be able to sell him on for 40+ million in a few years. my other significant signing (9m) is on a new young striker as 37 year old Harbaoui probably won't see the season out, i was fully expecting him to retire this year. This new striker signed is Ricardo Robiano from Newells is 20 years old and is 'well suited to serie A' again with potential through the roof, in a team that creates so many chances his value should sky rocket with the goals he'll (hopefully) score. Due to blowing the budget on two signings though the squad is looking a little bare in places, a few loans will finish the window for me. I will get round to putting up some screenshots at some point, what website do you guys use to upload them? Can you do it via steam? Yeah I use steam. Just press f12 in game. Will try and get them up before i head off to work, hope you're ready for a mega post. So, i'll start off with transfers starting from first season to current. Hopefully that is enough to be added to the hall of fame, i will do a separate post with a couple of youth prospects on. So my main youth player to come through is this guy, has a three star potential so might make it to a half decent Serie A/B level depending on how he develops, currently got him out on loan. Will post the screens of the guys i just signed who have massive potential later on but i have to go to work so haven't got time right now. Predicted to finish bottom of the pile for the second season running, we defied the odds to finish in a very respectable 8th, missing out on European football by just 4 points. It was an up and down season, with games like a 4-3 win at Inter proving we can mix it with the big boys. But losses like the 5-1 spanking away at Udinese meaning we never really threatened the top 7 until the season run in. In the end, 2 losses to Juventus and Inter in our final fixtures meant we had to settle for 8th. Still a massive improvement on last seasons 17th place. A very important season on this front, we brought in 15 players in total, as last seasons lack of spending meant we had a fair bit of money floating around. A few signings were for the youth team with an eye for the future. We have also sealed permanent deals for Bortoluzzi, Marcucci and Amabile who have been with us on loan for 3/4 seasons and look real stars for the future. 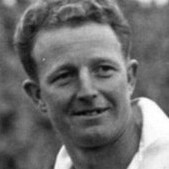 Bortoluzzi topped the Serie A scoring charts with 22 goals in 36 games this season. Easily our best intake of the save so far with Zafferani yp24a, Balducci yp24d and Muccioli yp24b all looking like they could be really good players. Sadly, Zafferani is the only one who I can get into the national team ATM. Balducci and Muccioli both want to play for Italy. Another good year on this front for the club. We started the season with youth and training upgrades ongoing and due to be finished in January as mentioned in my last post. Whilst these were ongoing, we managed to upgrade our Junior Coaching Budget and Youth Recruitment Network to Excellent and Established, a real jump from when we took over. Also, as soon as the training and youth upgrades were done in January, I went back in and asked for further upgrades, getting both Youth Facilities and Training Ground upgrades. No movement on a stadium upgrade as yet though, im hopeful this could be a positive, as when we do build a new stadium, maybe it will have a decent capacity. To finish in the top 10 again would be decent enough. But with a bit more consistency, I know we can crack the top 7 and get European football. Its been a tough first 18 months in charge of the national side. 14 games, 1 win, 3 draws and 10 losses. I did not expect to do any better this early in though so its not too disheartening. One plus is we now have a few decent prospects who should see us past some of the much lesser sides, because of this I was delighted to see the Nations League Draw come up, then I saw our group.... Ireland!!!! They are ranked 54th, Azerbaijan 153rd and Moldova 150th, making us at 187th the worst side. Still, ill be looking to beat the lesser 2, and see how we fair against Ireland. We did win our last game, a friendly against Lichtenstein, with a dominant performance that didn't match the 2-1 scoreline. Plodding along when this pops up. Fiorentina will miss out on a European place due to financial issues. 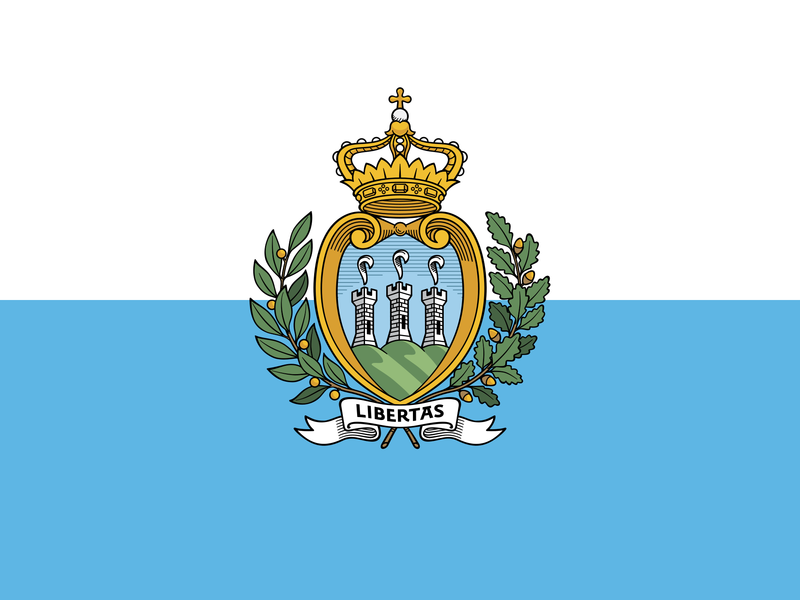 This means San Marino Calcio will compete in the Europa League for the first time in there history. 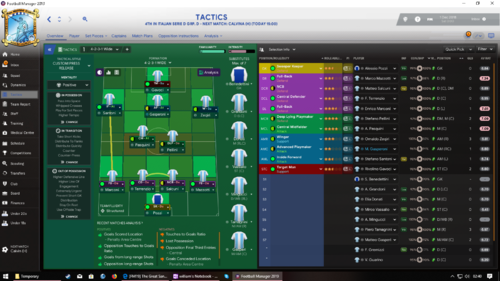 as you can see above as example on the right wing the position changes if there an if on the amr position then I play that role as if as for the rest of positions and roles I play best role possible for player used also I have not signed any players for the team might possible sign a few in next window but I'm utilising the best of the youth teams that I can but wondering if should sack that national manager or not and try get that job lol would like your views on this. Just finished my 3rd season...and this game is broken, won the Seria A .
I haven’t been approached for the National Team’s job, but I do “follow” them. Is there a way to request the job, declare interest in it or do anything to ensure I am aware if theres a vacancy? I'm thinking about giving this a go but I have a couple of questions. Firstly, are people still using the database that was suggested in the opening post? Is it reliable? Secondly, are people taking charge of both the club and the national team at the start or are the waiting for the national job to become available? Can you take control of both the club and nation? I've been using the one linked in the OP and had no problems, you can just take over the national team when it suits, doesn't have to be straight away, think I'm going to take over at the end of this season. 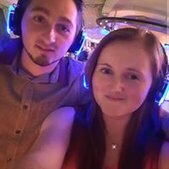 Not gonna have chance to play much over the weekend with being at work for most of it so will be good to see any updatea you guys have. 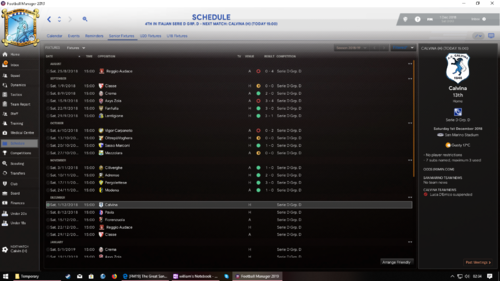 Also, for those that have done it in previous years are you like me finding it a bit easier this year, in the past I've struggled through the promotions but I've managed to walk through them this time around and I'm currently on the cusp of champions league qualification. in the jan transfer window I decided to bring in 4 player and that was the only signings I made to the total of a huge £15. Lastly one of the Director's named Zonta decided to call it a day and retire, I've also decided that I will free up the national post and try get it so in charge of both. That's bizarre, I was promoted having won the Serie D play offs. 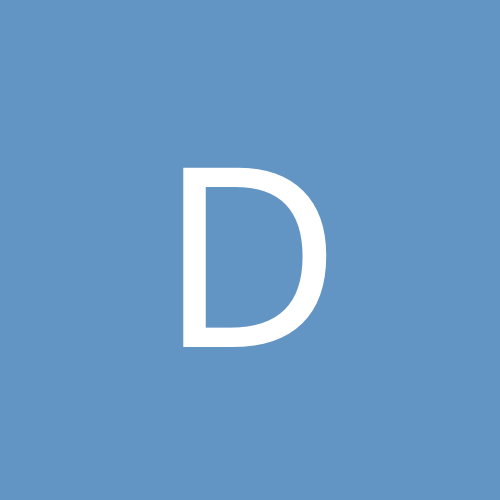 What database are you guys using? Yes, It's normal. There is only 9 clubs promoted to Serie D --> Serie C , IRL. These are the 9 champions of the 9 groups, which also play the Scudetto Dilettanti.